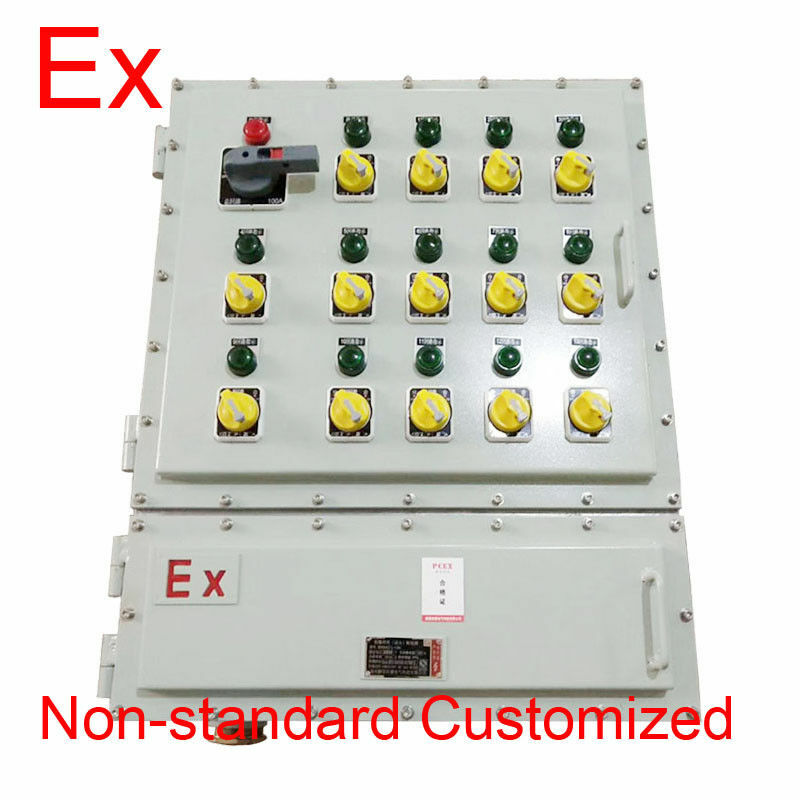 explosion proof local control panel is designed and built to operate in environments where concentrations of flammable gases, vapors, liquids or combustible particles pose risks of ignition and explosion. The panel enclosures are cast from heavy duty aluminum so that they cannot create a spark that could possibly ignite the vapors in a hazardous location. These heavy duty panels come with "O" ring gaskets to keep explosive fumes from entering the panel and are designed to contain an internal explosion without igniting the explosive vapors present in the hazardous area. explosion proof local control panel also prevent interior explosions from spreading outside and posing a threat to life and property. 4. Explosion-proof power distribution box is well designed, safe and easy to use. 5. The panel drawings can be provided by customers and manufacturers. 7.Built-in components can be installed according to user requirements for high-score breakers or molded case circuit breakers. Such as DZ47, C65, DZ158, NM1, CM1 and so on. 1. Explosive gas mixture hazardous locations: Zone 1 and Zone 2. 2. Explosive gas mixtures: IIA, IIB, IIC. 1)Do you have any MOQ limit for plastic house order? 2)Q:How Long To Make A Sample? 3)Q: How long does it take for me to get the quotation? A: For customized products, we will quote after you provide the requested product details within 24 hours because we need the time to calculate the cost, but we will quote as soon as possible. 4)Q: Are you a trading company or manufacturer? A: We are a factory of more than 10 years' experiences. 5)Q: How long does it take for me to get the quotation? 6)Q: How do you control the quality? 7) How do you make our business long-term and good relationship?